How awesome would it be to put bacon on everything and call it a “health food”? Or have a well-marbled steak with a side of deep fried potatoes ½ cup of cheddar cheese melted on top? Maybe we don’t want to go too wild and just eat a whole stick of butter for an afternoon snack? Surprisingly, many advocates of the ketogenic diet argue exactly that: eat nearly zero carbs and a lot of fat you too could have better health, brain function, sports performance, and even a six pack. What does the evidence and research supports the keto diet? Is keto or ketone supplementation right for me? Don’t worry about learning every detail; getting the gist of it will likely be enough to decide if it’s right for you. There’s mounting evidence that there is a connection between our diets and many brain disorders like epilepsy, MS, PD, Alzheimer’s and even people who’ve suffered from traumatic brain injuries. Key note: in 1921, endocrinology researcher Rollin Woodyatt noted that the same chemical environment happened in the body during both starvation and during a diet that was very low in carbohydrates and very high in fat. Also in 1921, Dr. Russell Wilder theorized: could a person get the health benefits of fasting without actually fasting? Wilder experimented with the “ketogenic diet” at the Mayo Clinic on children with epilepsy. Their results: the epilepsy seemed to improve on the diet and the kids seemed to have improved cognitive function and behaved better in general. These results were later proven by several medical authorities and the ketogenic diet for children suffering from epilepsy entered medical textbooks around 1940. New demographics that may benefit from a ketogenic diet expanded to the aging, contact sports, and military populations by 2016. In the 1980s and 1990s, shortly after the peak of the sport, body builders and physique athletes became curious about the ketogenic diet. However, this population had completely different goals. No worries here about brain health or vitality – just get a jacked and cut as possible. And keto seemed too good to be true: you could eat bacon, fatty meats, butter, and cream and still get abs. Surprisingly, many of these athletes were staying competitive with an extreme diet in opposition to the status quo and common knowledge at the time. Ketones decrease oxidative stress, boost antioxidants and scavenge free radicals, helping with some types of metabolic dysfunction. Could a ketogenic diet really help with performance, increase longevity, and have you looking great in your birthday suit? When it comes to sustainable fat loss, I do not recommend the ketogenic diet. There just isn’t an advantage to using keto to burn fat. Lose weight, yes. Body fat, no. It’s hard to picture “low carb, high fat” on a plate. What stands out in the ketogenic diet? For the first three meals protein is essentially the same, with a little variation. Ketogenic diets, on the other hand, have less protein. This makes muscle maintenance and muscle gain more difficult. I suggest the mixed plate for the general population, consisting of high-fiber, slow-digesting carbs like beans, fruits, whole grains, and starchy vegetables. The Paleo plate may have a little fewer carbs but completely eliminates beans and legumes. The low carb plate has fewer carbohydrates than the first two, but still have a small amount – hopefully coming from vegetables. The ketogenic meal is aiming for nearly zero carbs. Around 10-15 grams of carbs a day are typically recommended. Picture it: your whole day of carbs in just one handful of grapes. This lack of carbs can make it harder to have quality higher intensity workouts. I suggest about 1-2 thumb-sized portions of fat-dense foods (olive oil, coconut oil, avocado, cheese, cashews, etc.) per meal. This is dependent on your activity level and your goals. The ketogenic meal is high fat, even up to 90% of the total energy intake. Keto is the most extreme and limited of all four of these styles of eating. A little bit of protein: meat, poultry, fish, seafood, eggs. A large amount of high-fat foods: avocado, coconut milk/oil, olive oil, nut and nut butters, bacon, egg yolks, butter, cheese. A very small amount of carbohydrate vegetables: leafy greens, broccoli, cauliflower, Brussels sprouts, asparagus, cucumber, tomatoes, celery, peppers. Here’s what you can’t eat on a keto diet: most dairy, fruit, grains, starchy vegetables, sweet vegetables like beets and carrots, processed foods (except for pork rinds). This is your keto menu: stay as close to no-carbohydrate as possible, choose a limited option of high-fat foods, consume very little protein. Is it even worth all the effort? For a certain group of people, ketosis may be helpful for them, while for other people it may not be helpful and for others it could actually be harmful. Let’s look at why that’s the case. Ketones are a group of compounds with a specific structure which can be used as energy sources during starvation, fasting, or when carb intake is very low. Our bodies release fatty acids from adipose tissue (our stored body fat). These fatty acids soon enter other cells and combine with a co-enzyme to form acetyl-CoA chains and enters the mitochondria, going through the Kreb’s cycle to be broken down into acetyl-CoA units by bunch of reactions called β-oxidation. This is where the ketones are formed and then released by the liver into the blood. It’s a time-consuming process, the body is unable to quickly give energy in this way. Essentially, any cell that needs energy can use ketones, but our brain will be gobbling them up the quickest. Ketosis occurs when blood ketones are higher than normal either through changes in the diet which cause super-low blood sugar levels or through supplementation without considering blood sugar levels. Ketones bodies could be thought of as a fourth energy source (macronutrients: fats, carbohydrates, and proteins being the primary 3). On the other hand, alcohol can also be used for energy. Just because we can metabolize something doesn’t mean that we should. During ketosis, our bodies increase acidity, causing our bodies to fight back to equilibrium, a neutral ph. Our bodies respond by causing CO2 levels to change in our blood, buffering with alkaline molecules, absorbing hydrogen ions, or excreting H2P and ammonium ions. For the average healthy person ketosis and brief fasting is generally seen as safe. We make ketone bodies naturally (ketogenesis). It’s super easy to do. Just starve yourself! After about 75 hours of starvation, ketogenesis is happening – fun! This ketosis you’re in is an effect of fasting. So, the health effects of fasting may actually be due to ketosis itself instead of it being due to a restriction of calories. Like I mentioned before, nearly 20% of our total energy expenditure is from our brains. If your brain is more active, or growing, you’ll go into ketosis more quickly. An adult will take around 75 hours, a baby will be in ketosis after just a handful of hours without nursing. When eating “normally”, our brain gets enough energy from glucose that is easily passed through the blood-brain barrier. After not eating for a few days, we run out of glycogen and begin searching for other sources of energy. The process of running out of glycogen is the main reason why people see drastic weight loss initially during ketosis. It’s 3-parts H2O to 1-part glycogen. All this water and glycogen come back into the body once “normal” eating habits resume. Cheat the system: a ketogenic diet. Preventing the intake of carbohydrates but providing calories and nutrients in fats plus a little protein we can get the same effects as starvation: ketosis. It takes around the same amount of time (3 days or so) for the ketogenic diet to start to do what it does. Test for ketones in the urine with something called Ketostix, however, it’s not a reliable test as it doesn’t tell you if you’re in ketosis, but rather if you’re getting rid of excess ketones. Totally different story there. Make the test murkier, Ketostix just measure acetoacetate and not D-β-hydroxybutyrate, so it’s missing half the puzzle pieces. Ketone excretion can change even if we’re in ketosis still. You can, in theory, see different readings on the Ketostix while still having the same degree of ketosis occurring in the body. There are still human studies going on to determine the efficacy of supplementing with D-β-hydroxybutyrate to raise the level of ketone bodies in the blood without being in ketogenesis. How cool would it be if we could get the health benefits of ketosis without having to starve ourselves or follow a super restrictive diet? We still need a decade or two to determine if that’s a possibility. We can agree that humans aren’t rats, right? Take the following results with that in mind as all the tests were done on rats. D-β-hydroxybutyrate supplementation made some rats eat less and lose weight, but other rats did not. There’s some not-so-convincing evidence that points to supplementation activating brown fat by way of the sympathetic nervous system but there hasn’t been a follow-up study to concur with the results. Ketone supplementation showed to decrease blood sugar levels without altering cholesterol or triglycerides. Almost no studies on ketone supplementation have used human clinical trials. If you hear from anyone that ketone supplementation is a miracle cure, kindly ask them to show you the clinical trial that proves it (and that you’re also no interested in their essential oils or MLM scheme). You’ll never know unless you try it and find out. See if it changes what you’re interested in fixing. Fasting and ketosis have been around long enough what know it’s not a miracle cure. There’s no conspiracy to it. For many populations ketosis has little or no effect. It seems to only work for a particular type of person with specific needs and health conditions. It may take too long to see a measurable effect and for many people, a ketogenic diet is too hard to follow consistently. People have complained about having a drink a ¼ cup of EVOO first thing in the morning just to get the macronutrient ratios right. There are some likely benefits to going keto. We know that fasting is often an effective short-term treatment for metabolic dysfunction such as poor glucose control/prediabetes, chronic inflammation, or hypertension. We don’t know for sure yet whether this is because of ketosis or some other mechanism (such as programmed cell death, aka apoptosis). However, research suggests that in some cases, such as type 2 diabetes, ketosis may be useful as a short-term treatment or a “boost” that helps return metabolic processes back to a more normal and well-regulated state. In these specific situations, a ketogenic diet or a structured intermittent fasting program done under close medical supervision for a specific objective, may be a useful part of a multi-faceted treatment program that probably should include other therapeutic tools such as medication or other well-established health procedures. Randomly doing keto or fasting by itself won’t cure ailments or get you healthy. Again, keto can help in some cases but it should be done with clear and specific purposes and carefully monitored. It’s not a cure-all. Don’t add unnecessary stressors to your body with an extreme diet like keto, especially if you’re female. Drastically dropping your carb intake as a female can send your body reeling to the point of stopping your menstruation cycle. Ketones decrease oxidative stress, boost antioxidants and scavenge free radicals. Oxidation is a natural part of cellular metabolism, but too much oxidation, too fast, without the balance of antioxidants, contributes to many metabolic and other diseases. Our cells essentially rust from the inside-out due to natural oxidation. If we can slow and regulate oxidation, it may improve our health and longevity. Is there a fat loss advantage to going keto? • Insulin makes energy get stored into cells. Carbs stimulate insulin release. • Eating fewer carbs should reduce insulin release. Insulin isn’t the only factor and doesn’t act alone. Fat storage is largely controlled by our brains, not a single hormone. The good news is that when people switch to a lower carbohydrate diet, they eat more protein and fat which promote the release of satiety hormones (the ones that tell us we’re full). More protein and fat means we’re often less hungry. If we’re less hungry, we eat less. If we eat less, we lose fat. It’s the eating less part that matters, not the insulin part. To compound the weight loss, our bodies release water and glycogen when carb intake is low. However, being in ketosis doesn’t give you any advantage for losing body fat. Remember that weight loss is not the same as fat loss. Metabolism is reduced when on a ketogenic diet after an initial spike. For long term, sustainable results we want our metabolism increasing from building lean body mass. The keto diet does not deliver any advantage to gaining lean mass. Our bodies need insulin, growth hormone, and testosterone to create a muscle building environment. The ketogenic diet suppresses insulin excretion due to the very low carbohydrate content. ​Trying to build muscle while in ketosis is like pushing open a “pull” door. If you’re an average, regular person you can be perfectly fit, lean, and healthy without a ketogenic diet. For competitive sports, going keto only makes physiological sense if you’re an ultra-endurance athlete. The bottom line is that if the ketogenic diet is done under the right circumstances with the assistance of medical professionals it can work wonders. For most people it won’t be appropriate. 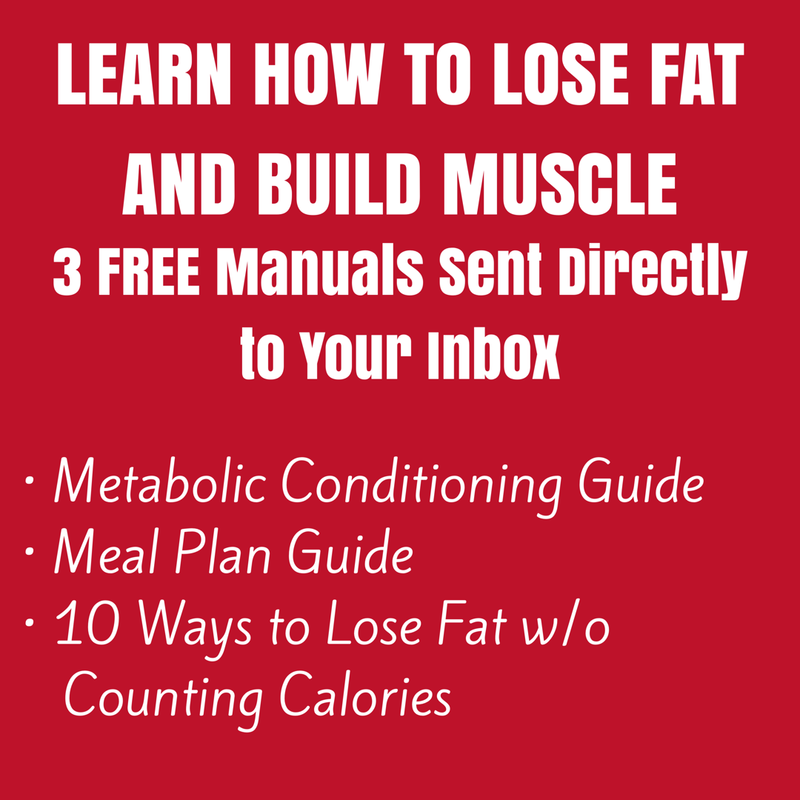 Plug in your info below and I’ll send you 3 FREE fat loss and muscle gaining manuals.